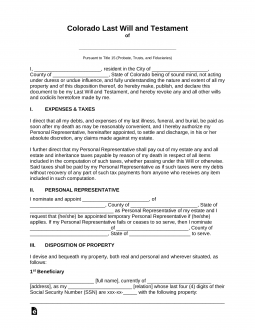 The Colorado last will and testament is a legal document that allows the testator to communicate your wishes with regard to how you would wish to distribute any aspect of your personal, fiduciary, real property. This document will ensure all that you leave behind, that is intended for the care of your family, friends, domestic partners, charities or whomever else you may choose, will be properly directed according to your wishes and desires. This document will require the witness of two people and witness of a notary public. 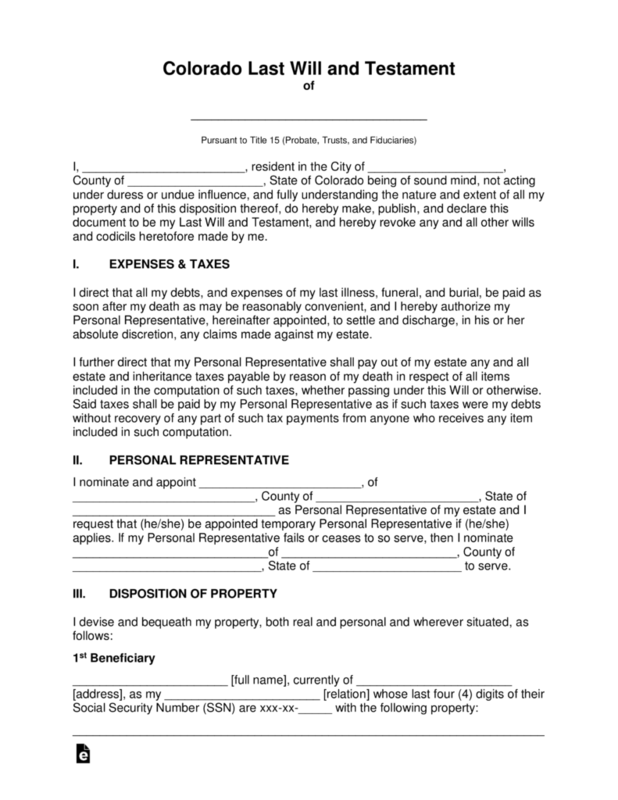 Signing (§ 15-11-502) – At least two individuals, each of whom signed within a reasonable time after he or she witnessed the testator’s signing of the will or it can be signed before a notary public or other individual authorized by law.